We are the only Padi 5 star (IDC) dive center that has their dive boats located at the most beautiful beach of Lanta, Pra Ae (or Longbeach) and we bring you directly from this beach on Koh Lanta to Koh Ha and Koh Phi Phi. Our swimming pool is the ocean straight in front of the dive resort.We also of course have a swimming pool in one of our resorts. No need to go anywhere else, we have the tropical island, beach, ocean, beautiful diving and resorts all in one hand and here for you to enjoy ! Love diving with us ! We believe in small groups, beautiful slow dives with experienced guides, high class dive courses (where you learn something), great fun, excitement, professional behavior in a safe and environmentally friendly surrounding. We love diving and teaching diving and would like to show you, what makes our under water world so special. Our boat departs from the beach in front of Lanta Palm Beach Resort. 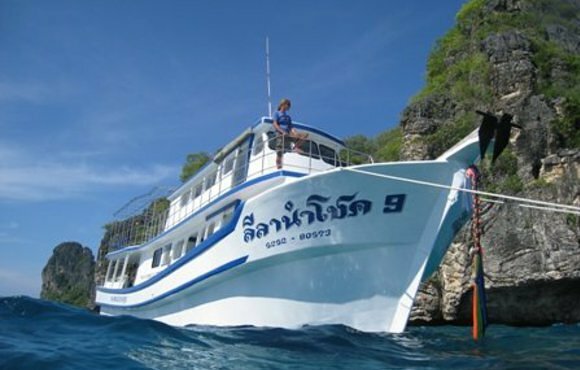 We leave at around 8.00 am for Koh Phi Phi and Koh Ha, and at 7.00 am for Hin Daeng and Hin Muang by big boat. These are full day trips, so you will be back in the late afternoon. We like to ensure that the pace of the day is relaxed so that we don’t have to hurry. This way, we can offer you a relaxed, safe and fun day out on the boat. 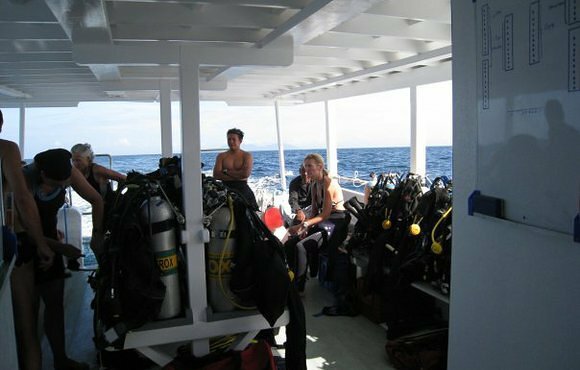 We divide our dive groups according to each diver’s level of experience and try to keep diving group sizes small, so that each of our customers has the perfect underwater experience. Our Padi dive masters are experienced in the diving area, you are going to be diving in. I dove on Koh Lanta in 2003 and these guys were awesome. Professional, fun, safe and a great team. Best in my experience.